My teaching career began in 1998. I moved from Princeton New Jersey, to Hollister, CA. I noticed that certain students were treated differently. There was an underlying and unwritten idea that these students could not perform mathematically. I wondered what I could do to better serve my students. I did not want to lose my students in middle school. I continued to develop as a mathematics teacher and made a conscious decision to apply equity and access to all relevant materials in my classes. As a strong supporter of quality education, I did not have all the tools needed to serve the students I was given. At conferences and workshops, I devoted my time to focus entirely on Access, Equity and English Language Learners. I found online references to TODOS and became immersed in the research that was available as a member. When I started teaching in 1998, the California Framework came into use. Many of the teachers chose to ignore the framework, but I followed this vigorously in order to support ALL the students in my classes. I used the framework as a guide to what each student needed to know to be successful in high school. Soon I was using materials written in TEEM, NCTM journals and other sources as guides to support my student population. I was acquiring more confidence and support through the use of these sources. I used as many methods as possible to introduce group work, problem solving activities and math games. Language became less of an issue and more of a positive in the mathematics classes. 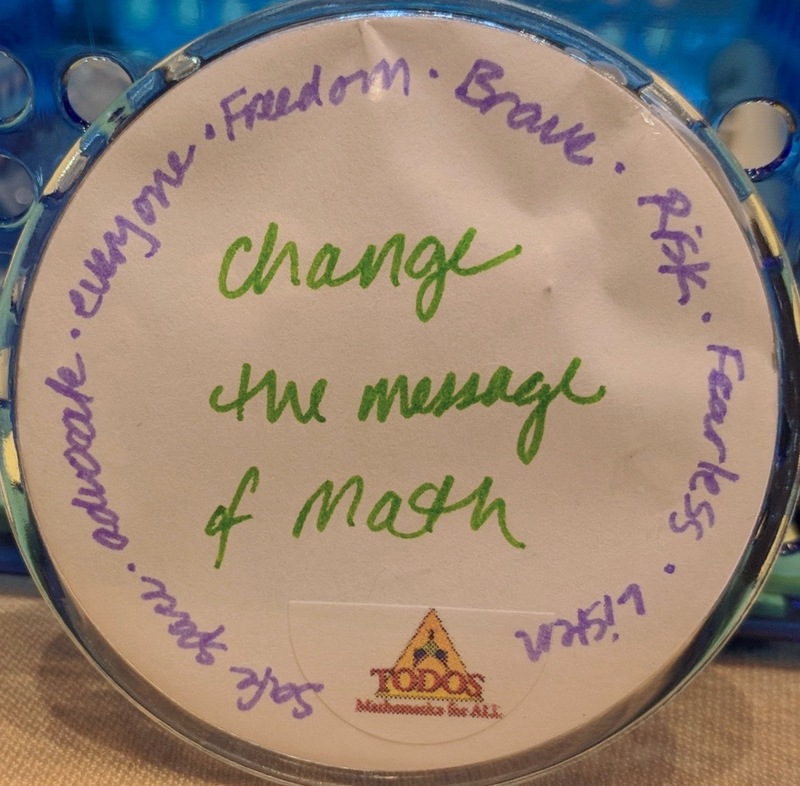 I started volunteering for TODOS at conferences, while also increasing my work with Math Teachers Circles. I attended “Circles on the Road”, that introduced students and parents to Math Circles around the country. There were a variety of students from ALL backgrounds that attended these Circles. I started presenting at California Mathematics Council conferences on methods that created increased confidence and efficacy among ALL the students in my class. 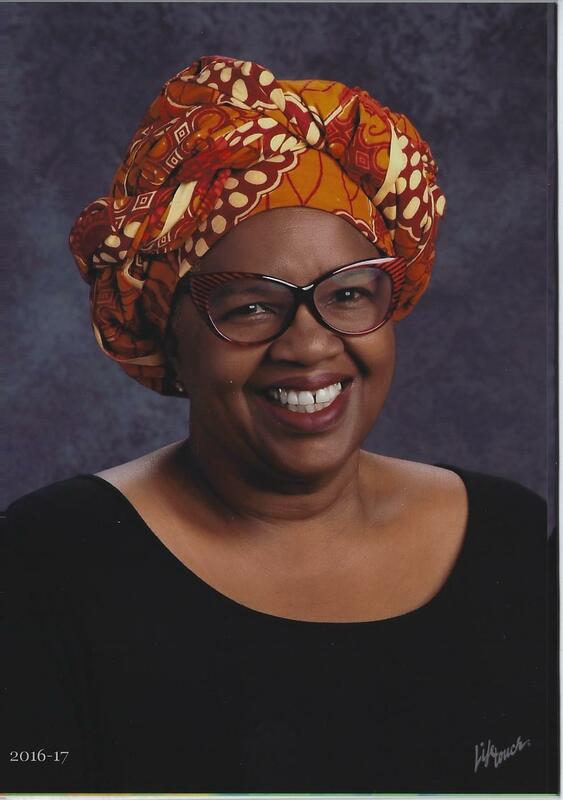 I have recently worked on two “Social Justice in Education” conferences in my area. Being a member of the Instructional Leadership Corp (CA) where teachers teach teachers, I was able to pass the word about TODOS throughout my county and wherever Professional Development took me. I love what I do. The students and colleagues whom I work with know that I appreciate being able to introduce students and teachers to the exciting world of mathematics. I now work in a Continuation High School. Our population is 98% Mexican American. I carry the same values to the students; I want them to know that they are successful and can be successful in mathematics as well. I have been working with TODOS LIVE, our professional development outreach for 6 years. I have a Math Teachers Circle in my local area and we are in year 10! I am an original Math Teachers’ Circle member. I am ready to do more. In 1954 Linda Brown was allowed to go to another school. Access to a quality education has been a fight for quite some time. Historically, quality education for all has been an American fight and is written as a right. It’s 2018, and we are still discussing many of the same issues as 1954. TODOS is an organization for change. I will work to support the change.